Online since 2002, we’ve been finding customers and punters free bets, offers and a whole lot more since the internet began! We have a range of free bets for you to pick up, as well as bet credits from Bet365, a risk free £20 from Paddy Power and a whole host of sign up bonuses including Ladbrokes offer of Bet £5 Get £20. There’s also our live stream guide to take a look at. With the football season in full flow and other major sporting events taking place on a regular basis now is the perfect time to make the most of free bets being offered by almost all online betting firms as well as our football accumulator tips and the forthcoming Cheltenham Festival Tips. From sign up offers to weekly betting rewards there are plenty of ways you can make the most of Grand National free bets and rewards. Below we have put together an introduction to free bets outlining different offers on the market, how to claim them and key terms and conditions to consider. Where Can I find a free bet? Almost all online betting firms offer sign up offers to entice new customers. In most cases free bets are awarded following your first qualifying bet using the website or app, some companies offer a set amount of free bets when a specific amount is wagered while others offer matched amounts up to a certain limit. For example Betfred offer £30 in free bets when you stake at least £10 on your first bet, while Bet365 offer new customers a matched free bet of up to £100 – so if you place £40 on your first bet you’ll receive £40 in free bets. To qualify for most sign up offers you must wager a certain amount – this varies with each company – and your bet must be higher than, in most cases, evens. Again this varies with each company so be sure to check the terms and conditions to make sure you qualify. There’s nothing worse than missing out on free bets because you haven’t met the wagering requirements. On some occasions betting firms will offer an amount to spend at their casino as well as free sportsbook bets so make sure to keep an eye out for these. What are bookmaker loyalty schemes? Paddy Power and SkyBet are two of numerous online betting sites that offer weekly loyalty schemes. Basically punters are rewarded for placing a certain amount of bets each week. For example SkyBet will give you a £5 free bet every week if you stake at least £25 from Monday to Sunday. Again, as with free sign up offers, there are certain terms and conditions that you need to meet to qualify for the free bets and in most cases you must opt in to the loyalty scheme. Where can I find matched betting? For example you’ll often find Skybet offering a bet £10 get £10 on big football games. This requires users to place a pre-match bet of odds greater than 1/2 and they’ll receive a £10 free bet to use in-play on the same game. Pre-match bets can be placed on all match markets including Skybet’s latest feature Bet Builder – here you can combined numerous markets like player to score, number of cards and total corners to create one bet with increased odds. This is a common offer that can be found with most online betting firms – use them wisely and you can make a tidy little profit on some of the biggest sporting events in the world. Acca Insurance is offered by numerous online bookmakers including Betfred and William Hill. So if you place an accumulator on the football and only one selection lets you down you’ll receive a free bet to place another acca. Perfect for the weekend action. Using free bets is relatively simple. Choose your selections like you would when betting with your own money, but when you go to the betting slip instead of typing in the amount you want to wager select the box or hit the button which displays your free bets. Free bets are usually displayed in one of two ways. 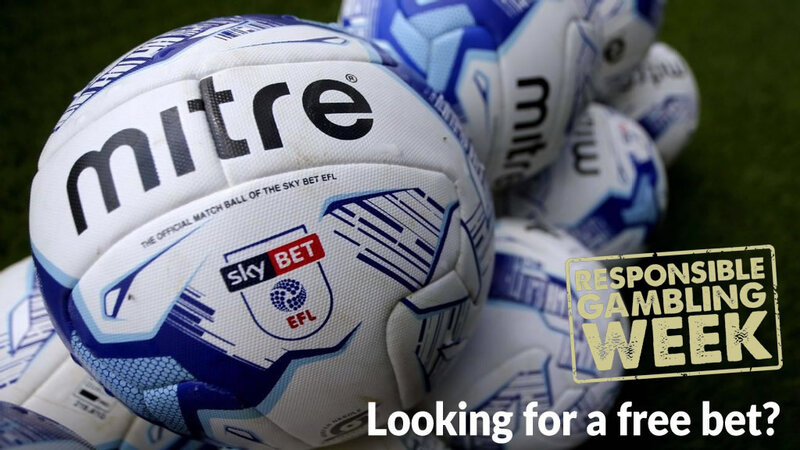 They’ll either be added to your wallet/betting funds but won’t be available for withdrawal or like on Skybet displayed in a tab away from your actual funds so there’s no confusion regarding your withdrawable amount. Free bets awarded from sign up offers can usually be used on all sportsbook markets. Bets can be placed on anything from horse singles to mixed sport accas. Alternatively matched bets or acca insurance free bets can only be used on football or the event being wagered on. Before betting it’s important to read the terms and conditions. Numerous requirements must be met for users to qualify for certain free bets. Almost all free bet offers require a bet to be placed at odds of greater then EVS. For accumulators then at least one selection must be greater than EVS or the specified odds. It may sound simple and obvious but always double check the amount you need to wager to qualify for the free bets. Also, for sign up offers, make sure it is your first bet, if you’ve placed a bet previously and it hasn’t met the requirements then you won’t qualify for the free bets even if your second bet does. Similarly only your first bet on other offers will qualify. Nothing lasts for ever they say, and that’s the same with free bets. All free bets will expire after a certain period of time so make sure you use them before it’s too late. Be careful with cash out when hoping to qualify for free bets. In most cases cashed out bets will not qualify for sign up offers or weekly loyalty schemes. Horse racing fans are also in for a treat with the arrival of the flat season, the Cheltenham Festival and Grand National were once again a great success and there’s plenty more punting to get stuck into. There really is a free bet for everyone so take a peek below and pick up some free cash! Don’t forget that bookmakers update and change their offers on a daily basis, so make sure to check back here for the latest information on bookmakers promotions! Free bets range from 100% matched deposits, while others involve staking only a small amount and getting a bigger free bet back in return ( Paddy Power for example offer Bet £10 Get £30). Free Bet on the football? As with all these offers please make sure that you read the terms and conditions of each offer, as each bookmaker may have offers which differentiate slightly. With the 2018 Festival has been and gone but there’s still plenty of opportunity to pick up some decent free bets on the horses and of course the football! Make sure you don’t miss out as the bookmakers will be frothing at the mouth and jostling for your custom. Punters are precious to them so there’ll be plenty of incentives being thrown in your direction. Its up to you to pick out the best ones, although fundamentally, free bets are just that – you just need to pick out the winners! Of course, its not only free bets that the bookies push – these days enhanced odds are just as popular and rest assured we’re sure to see some price boosts on certain horses come Cheltenham time. These act like a free bet – bookies enhance the price on a certainty, Douvan to win, Man Utd to wear red etc, but you can pick up more than the free bet originally offered. For example, Paddy Power may offer 6/1 on Man Utd to beat Hull, returning £60, while taking up the new free bet offer of Bet £10 Get £30 only returns £30. So there’s plenty of options for you, the punter going forward. Just make sure you back some winners!